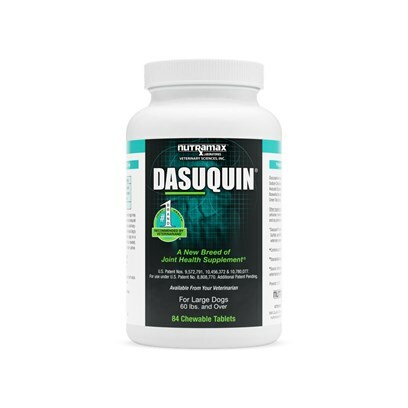 Dasuquin for Dogs is the top joint health supplement recommended by veterinarians. It combines years of clinical use and research to provide the most comprehensive joint health management formula available for dogs. Helps with muscle issues in rear hip. My dog seems more comfortable. The expense and attention to suggested treatment worhgt it! This product is easy to use or should I say...easy to get our dog to take! This product has helped my 9 year old Cocker Spaniel Tremendously with her arthritis! This has been a Godsend to us! This is the best for arthritic dogs!